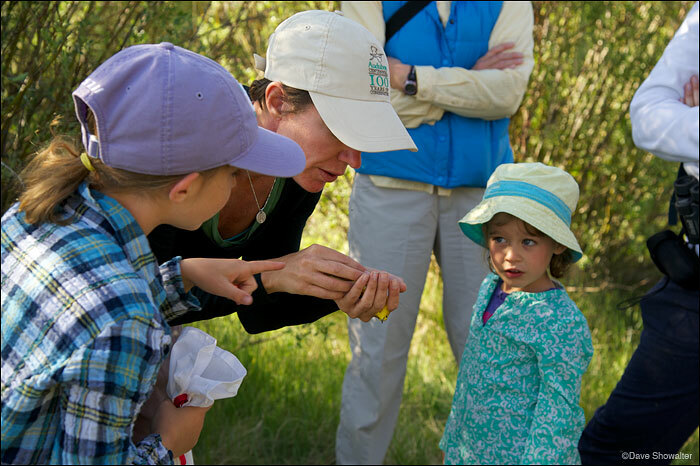 Alison Holloran of Audubon Rockies holds a yellow warbler for Sage and Willow. Soda Lakes Bioblitz on June 23, 2012. Photo © copyright by Dave Showalter.